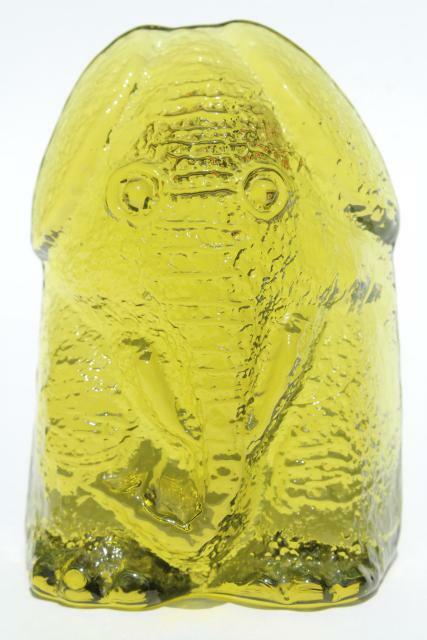 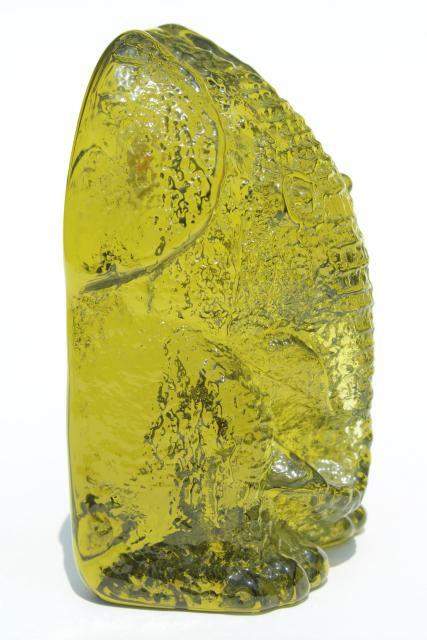 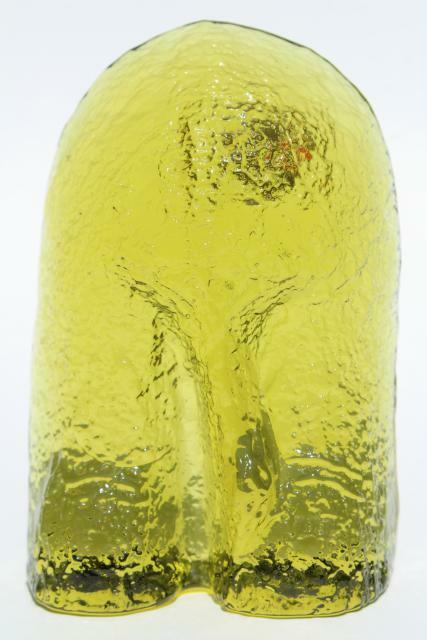 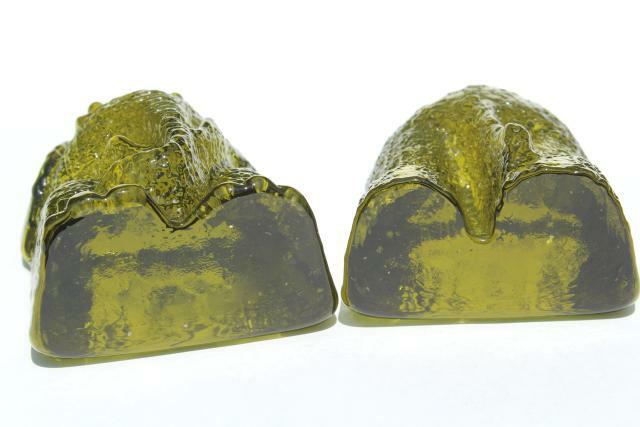 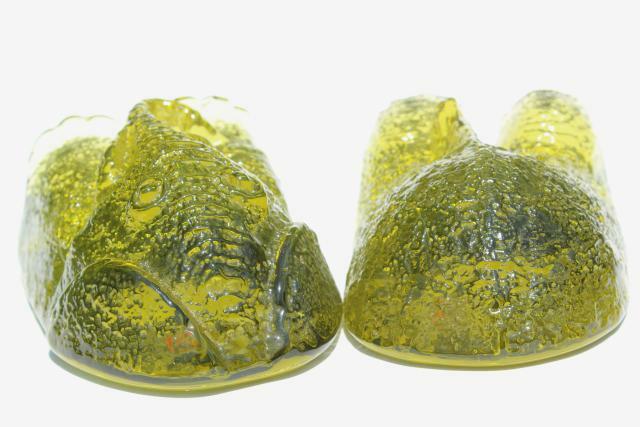 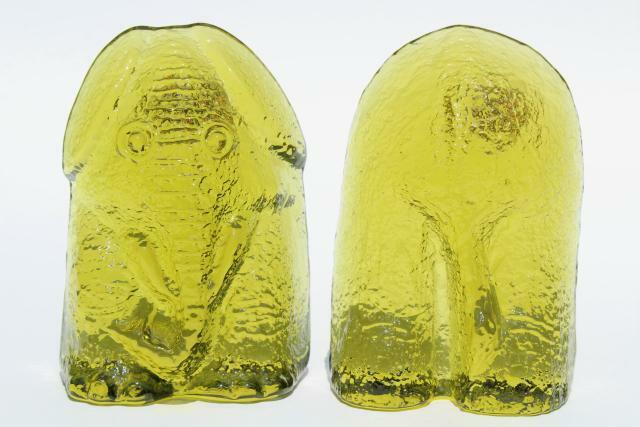 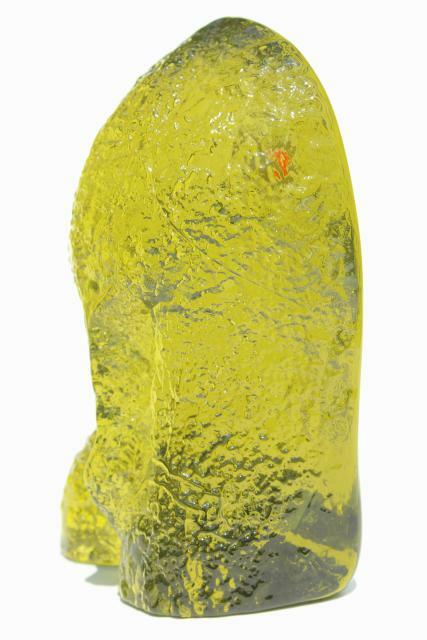 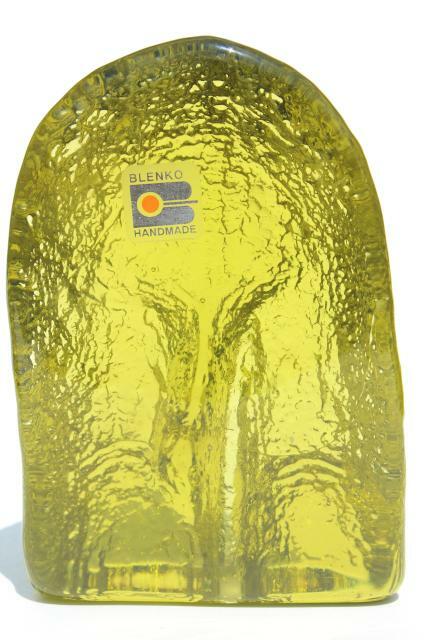 Vintage Don Shepherd / Blenko art glass bookends, an elephant in a lime green or chartreuse color. 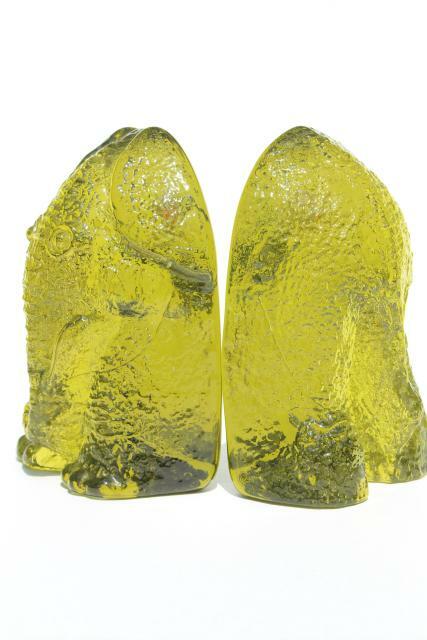 Each piece measures about 4" wide x 5 1/2" tall. 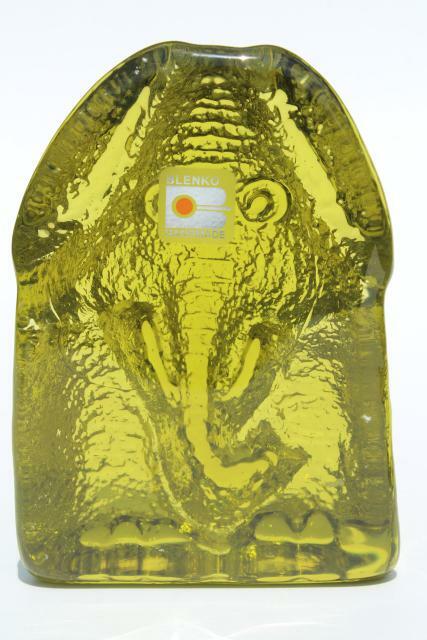 This set is in excellent condition without damage, nice and clean, still with original sticker label.